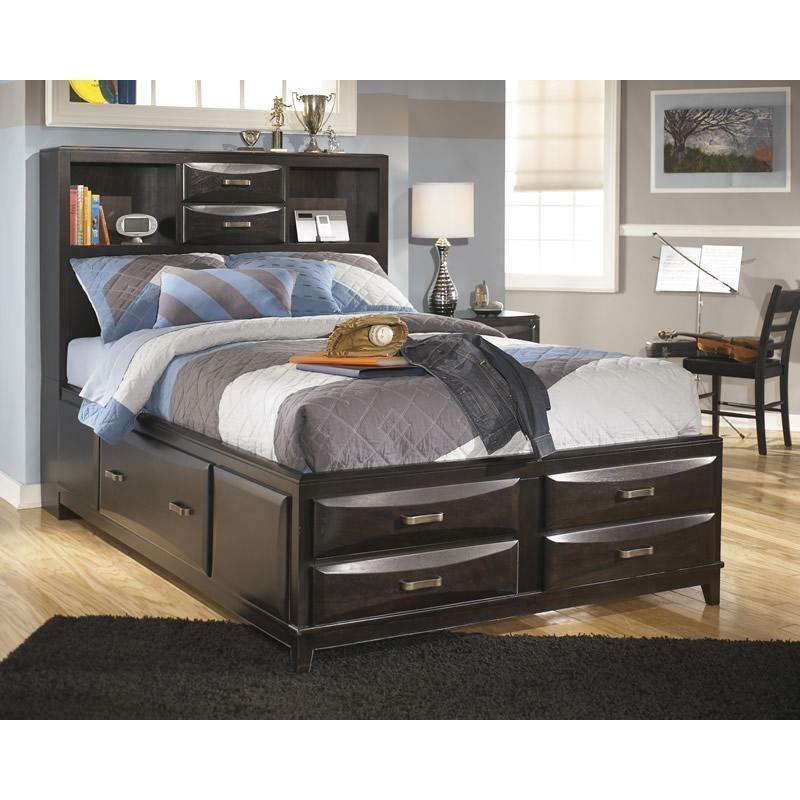 With a dark finish and exciting contemporary design, the beauty and refreshing style of the Ashley "Kira" full storage bed creates the perfect atmosphere for the bedroom of your kid's dreams. 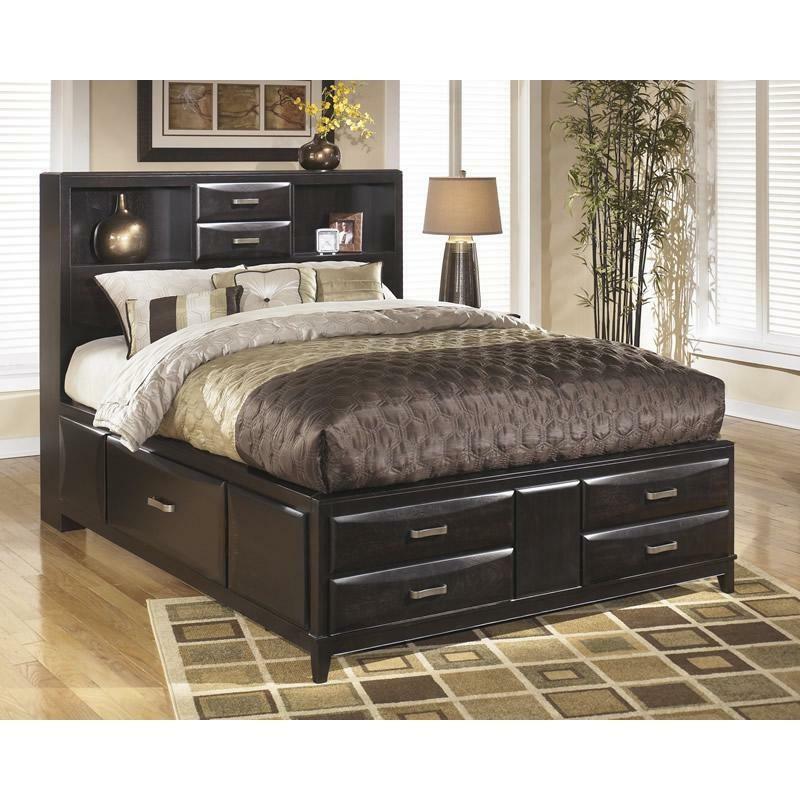 The almost black finish flows dramatically over the headboard and shaped overlay drawer fronts to enhance the straight lined contemporary design of this bed. 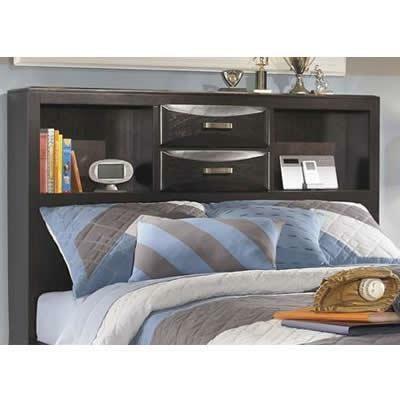 This bed is sure to enhance the look of any home's decor. 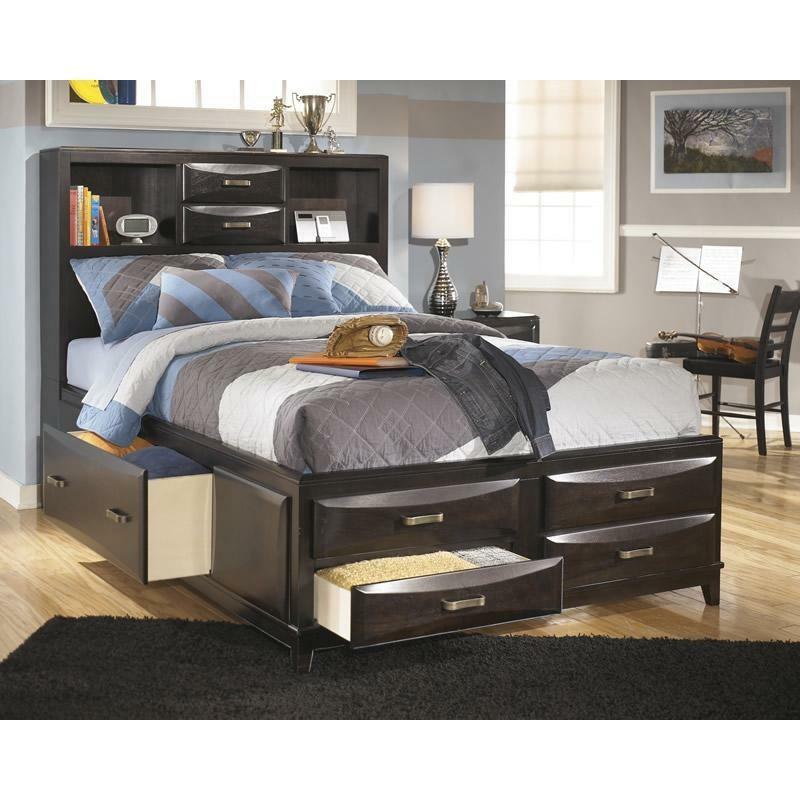 Sleep within the rich contemporary style and comfort of the Ashley "Kira" full storage bed. 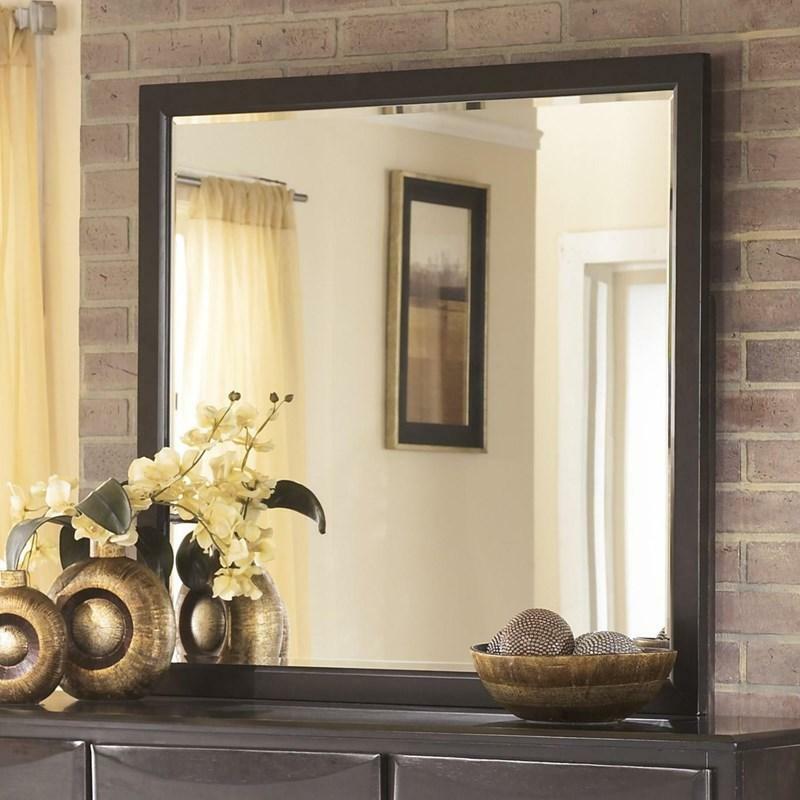 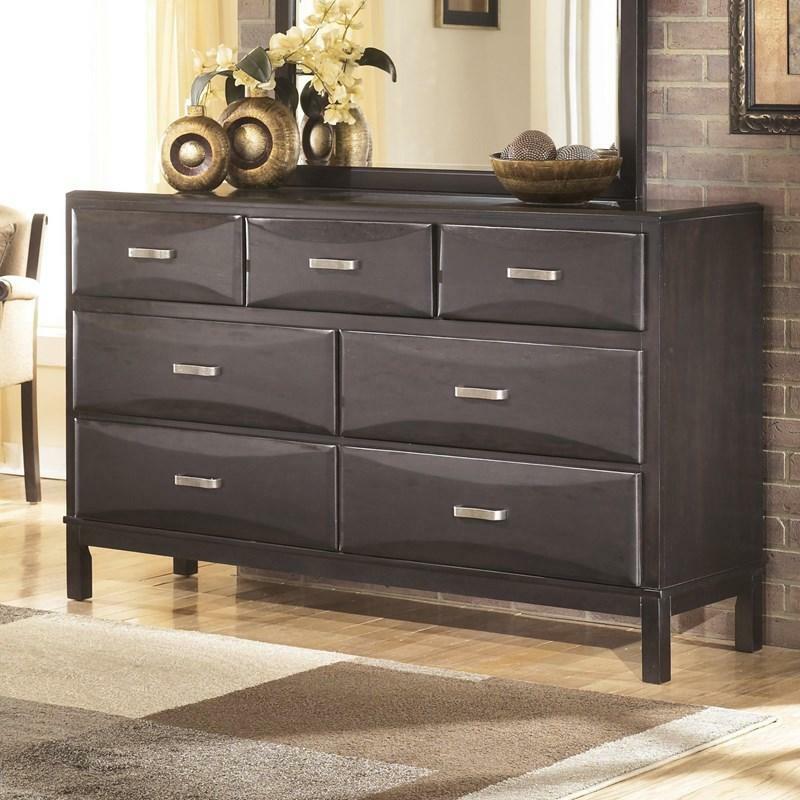 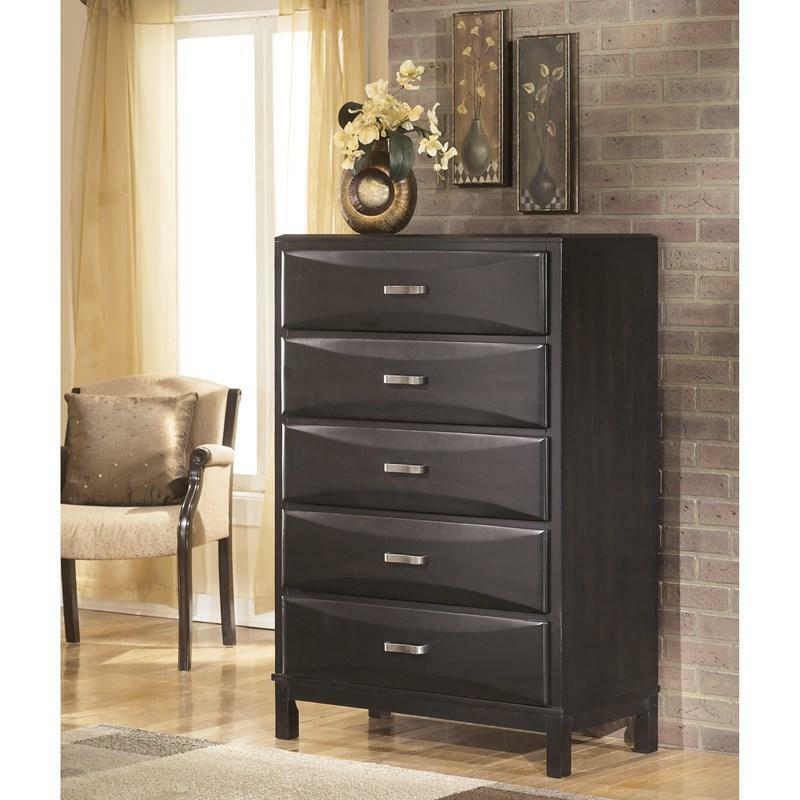 Additional Information Made with select veneers and hardwood solids; Almost black finish; Headboard drawers (2) 15 3/4" X 8" X 4"; Rail drawer 31 1/4"W x 19"D x 11"H; Footboard drawer (4) 23 1/2" X 19" X 4"